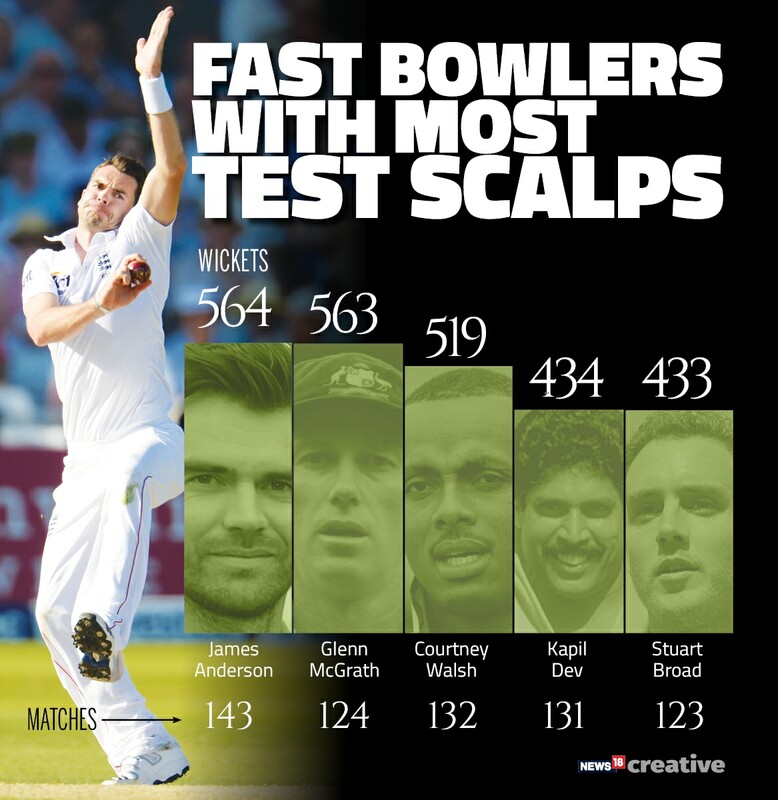 England’s James Anderson recently took his 564th Test wicket and thus surpassed Glenn McGrath to become the most successful fast bowler in the longest format of the game. But despite this monumental achievement, Anderson rates the Australian as a “much better bowler” than himself.”I’ll tell you something about Glenn McGrath – he was a much better bowler than me. This is not false modesty,” Anderson wrote in a column for Fox Sports. Anderson pointed out various factors that made McGrath a complete bowler. But Anderson feels there are plenty of similarities between him and McGrath. Anderson also mentioned how he incorporated McGrath’s training method of bowling with the old ball, to be successful in unfavourable conditions. “I heard him say once that he practised for when the ball didn’t swing. So if it did swing, it was a bonus,” he wrote. “That philosophy has been a big part of my development. You so often see bowlers pick out a lovely new ball from the bag at nets and it looks great when it swings in the air and nips off the seam with batsmen playing and missing. Despite being this successful, Anderson is still keen on learning tricks of the trades from his contemporaries, and out of the current lot, Dale Steyn is the one who stands out for him. “I’ve spent most of my life watching fast bowlers – initially as a kid on TV and later in the flesh when I started playing top-level cricket,” Anderson continued. “Even now, on a day off, I’ll sit at home with the cricket on TV analysing the quick boys and trying to learn. How are they gripping the ball? What are they thinking? Why did they bowl a bouncer or yorker or slower ball? I don’t think I’ll ever stop being fascinated.